We offer free quotes to all customers? We are very proud of our methods, techniques, gear, and our low price quotes. Our estimate system for our commercial quotes has been developed down to a step by step system that produces amazing results every time. Look over some of our service options below and decide what service package will work best for your company. 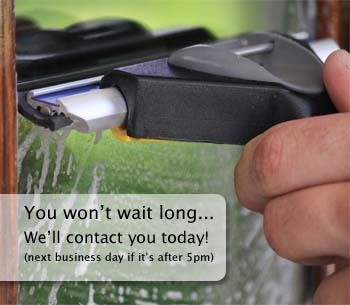 Our 'Initial Washing' package is offered to first time customers that have not had their windows washed on a regular basis. If this is the case for your store or office than you will need to have an 'Initial Service' done before our other maintenance packages will be available to you. We are happy to schedule your free quotes an initial cleaning any time. The initial quotes will have both the exterior and interior and quotes for exterior only as well. All service that is scheduled less than once a month is considered to be an 'initial service'. Having the out side glass of your office or storefront cleaned is a great service option if you are maintaining the clean look from a recent full washing package. It is also a great commercial choice for those watching the company budget a little more closely this year because the window cleaning Nashville prices are lower than having both the interior and exterior cleaned. We will give you quotes for both Outside and Inside. One of the great advantages of the 'Outside Only' package is the freedom to cancel at any time. We ask that you give us some notice if canceling but there are no contracts, fees, or penalties. Screen washing quotes are automatically included if you have outside screens. 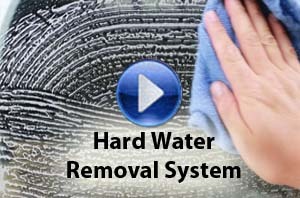 We do this to ensure a lasting clean on the outside glass surface. When the screens are not washed along with the outside of the glass, rain and weather will quickly knock large amounts of dirt and pollen right back on your freshly washed glass... ruining the outside portion of what your company just paid for. Having the both exterior and interior done on a monthly basis is a great choice for those businesses relying on the atmosphere and ambiance of their store to be a main attraction to their customer base. One of the great advantages of this commercial package is the freedom to cancel at any time. We ask that you give us some notice if canceling but there are no contracts, fees, or penalties. 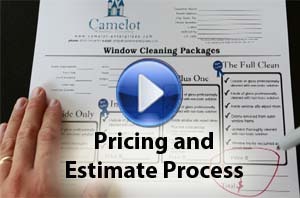 The One Year Contract is the best value in terms of commercial price quotes. All of the great benefits and features of the other monthly packages are included in the contract cleaning, but at great low price quotes! 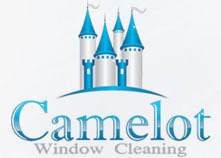 This is a perfect choice for those of you that know you will need the store or office windows cleaned once a month and want to save some money while doing it. We offer the contract prices to both exterior only customers as well as interior and exterior customers. Most of our commercial route work or store front customers choose this service option. You don't want to wait until one of your customers says "they need their store cleaned!". The goal is to keep the window glass sparkling and clear so that it dosn't come to that. Most business owners in Nashville know how important a great looking first impression can be on a prospect, or customer walking in the front door. We now have a referral program for our window customers to pass on our low price quotes to their friends family and customers if they want to. Any customer of ours who passes on a referral for us will receive a 10 dollar Starbucks card from Camelot. And you can be sure we will give your friends the same low price quotes that we deliver to your stores and homes.